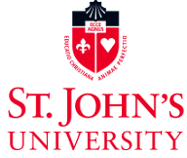 This campaign ended on April 02, 2016, but you can still make a gift to St. John's University by clicking here! Linda M. Sama gave $200 because $1,071 was donated in 6 days. Most of us start our day already knowing that we’ll earn enough to eat and be able to subsist for the next few days and weeks. Unfortunately, many women, especially those living in poverty, face day-to-day troubles trying to figure out if they will have enough food to feed their families, the ability to send their children to school, or the strength to overcome abuse from their husbands. This March you can help them. Let us tell you how. We represent GLOBE (Global Loan Opportunities for Budding Entrepreneurs), a student-managed microloan program right here at St. John’s University that provides small loans sourced entirely through donations to entrepreneurs in the developing world. GLOBE currently operates with borrowers in the Democratic Republic of Congo, Kenya, Nigeria, Nicaragua, Vietnam, and the Philippines. The large majority of our borrowers are women. We invite you to help us in raising money to help these women stand up for themselves and prevail over their struggles. March is National Women’s History Month and you -- yes, you -- can help change the lives of our women borrowers by raising money that will allow them to run a business and earn income that will lift them and their families out of poverty. Our female borrowers are budding entrepreneurs who operate jewelry, baking, and kiosk businesses. They use their income to buy their children books and send them to school. They dream of a better life where they don’t have to live day to day and can give their children access to education that will break the cycle of poverty for the next generation. Our loans help our women borrowers achieve greater equality in the household and in society. GLOBE asks you to join us as we launch our 3rd Give Campus campaign: #GLOBEcaresforwomen. Please help us reach our goal of $4,400 in honor of our 44 existing women borrowers who are paying back their loans, and to help us gain 44 new ones. Besides just raising funds, we hope to increase awareness of what exactly GLOBE does and how it can help change the lives of its borrowers. Throughout March, you will be able to read inspiring stories about several of our unique women borrowers who have become successful in starting their own business. With YOUR help, we can uplift even more women to become independent! With YOUR donations, we can reach more and more women. These women need YOUR help. GLOBE CARES. Show that YOU care too by donating to #GLOBEcaresforwomen.